Our Bike Weekender ‘Classic’ packages are designed to offer a fully supported cycling experience; our dedicated team will be on-hand throughout your stay, including supporting your rides with our vehicles and trailers. We plan fantastic cycling routes for each day of a ‘Classic’ break; these will either be road-marked ahead of you by your support vehicle crew, or you’ll be led by one of our team on a bike alongside you. All this leaves you time to just relax, focus on riding and take in amazing French scenery as you go. Vehicle support means you can travel light on your bike; our minibuses will meet you on the cols, providing you with snacks and drinks, as well as assisting with route marking, carrying spare clothing, bike tools, and anything else you might need. Using our minibuses, trailers and bike racks we are also able to increase the range of rides on offer over a short break. By using our vehicles to return you back to base at the end of the day, one-way rides become possible, letting you cycle much further afield and take in a wide choice of famous routes and Tour de France cols. Some of these classic ‘big day out’ rides just wouldn’t be possible without this support. And what could be better, after a 110km ride over the Col des Aravis, Col de Saisie and Cormet de Roseland, than to find a minibus with spare clothes, snacks and cold beers waiting to whisk you home? Come and enjoy our home area in and around Le Grand Bornand, just an hour away from Geneva airport. This is where Bike (and Ski) Weekender started, and it’s where we’ve honed our renowned hassle-free weekend short break format. It really is the most convenient base for a long weekend cycling trip and can’t be beaten for a short transfer to the heart of great cycling country in the Aravis Mountains and around Lake Annecy. Are you ready for a challenge? 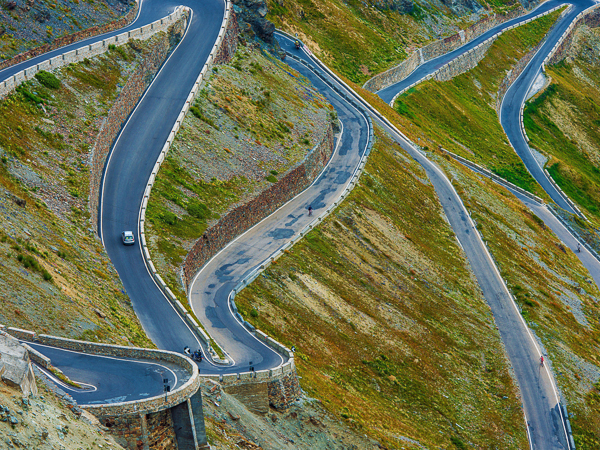 From our base in the Southern Alps you’ll have the chance to tackle the legendary road cycling climb up to Alpe d’Huez… all 21 hairpins! 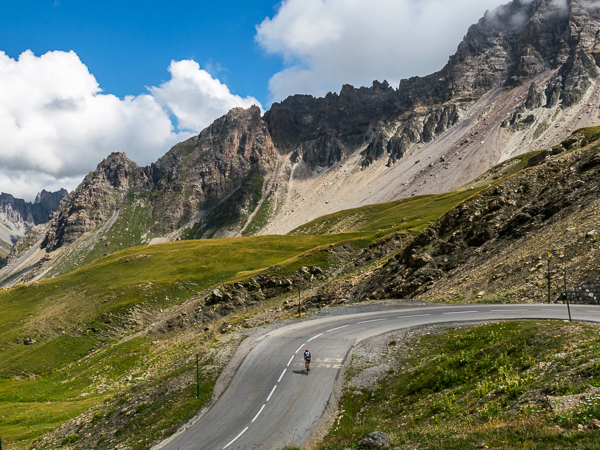 But its not just about the one ride; we aim to tick off several Tour de France classics such as Col du Galibier, Col d’Izoard, and Col du Glandon. Big mountains, big riding… not for the faint hearted… but we’ll be there to support you throughout and make it as easy as we can! Provençal sunshine and scenery, all yours to enjoy. Our base enables a great mixture of touring vineyards, climbing through oak woods and relaxing beside the pool. The hills may be smaller (apart from Mont Ventoux!) but the riding is still a good workout. 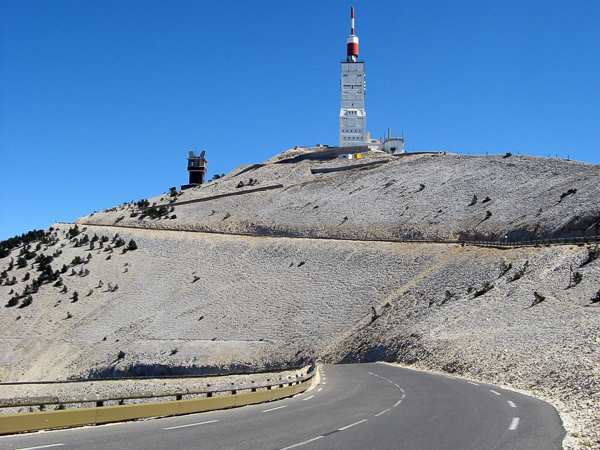 We know the best routes to explore this region, taking in amazing areas like the Gorges de Nesque and Luberon… plus of course the ‘Giant of Provence’, Mont Ventoux itself, is right there on the doorstep for you to conquer! The timeless beauty & mild climate of the Mediterranean, perfect for early & late season riding… end your day’s cycling with a stroll on the beach & glass of rosé! 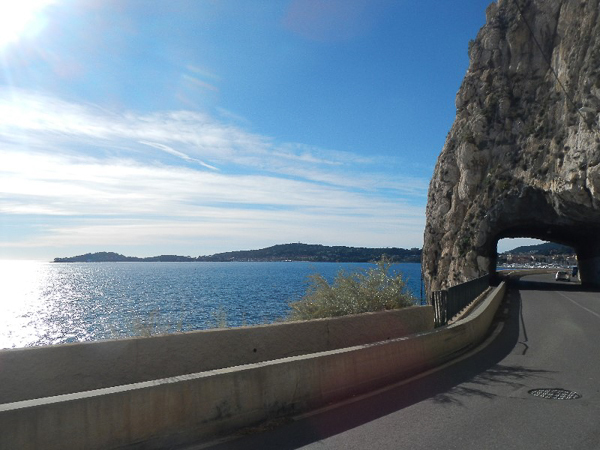 Explore the Massif des Maures, riding quiet lanes through cork oak forests, before dropping down to iconic St. Tropez. Whilst gentler than the Alps there is plenty of great bike riding on offer; palm trees, twisty coastal roads and glittering sea views make for a wonderfully laid-back cycling experience. Questions about Bike Weekender 'Classic' Cycling Breaks?